Hanfu room screen was inspired by Asian traditional dress Hanfu. 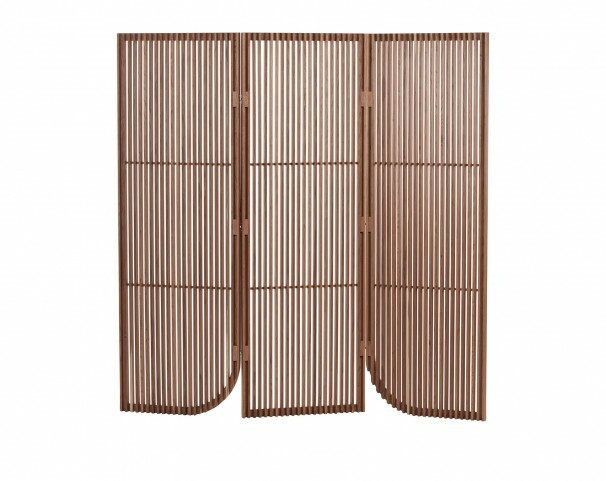 The overall shape of the screen is drawn from the “Yimei” - the curved part of the cuff and sleeve of the traditional Hanfu, and transformed this element into wooden screens. The centre panel of the screen makes the body while the two side panels are drawn from the sleeves of the garment. The vertical lines created by the Cherry wooden structure make an elegant and impression suitable for home as public spaces.